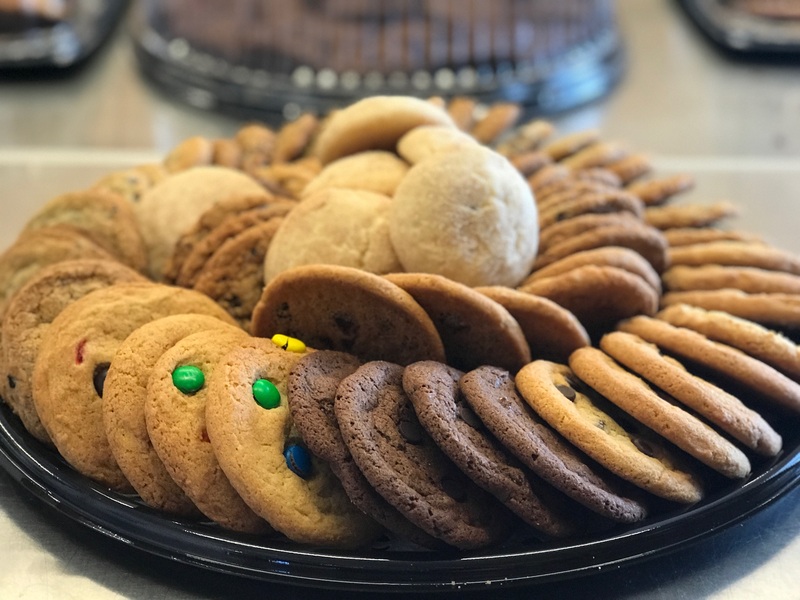 Cookies by the dozen, on a platter, ready to serve. You can pick your variety or let us choose for you. You can choose plain, walnut or a combination. We can cut the brownies in quarters or halves upon request. 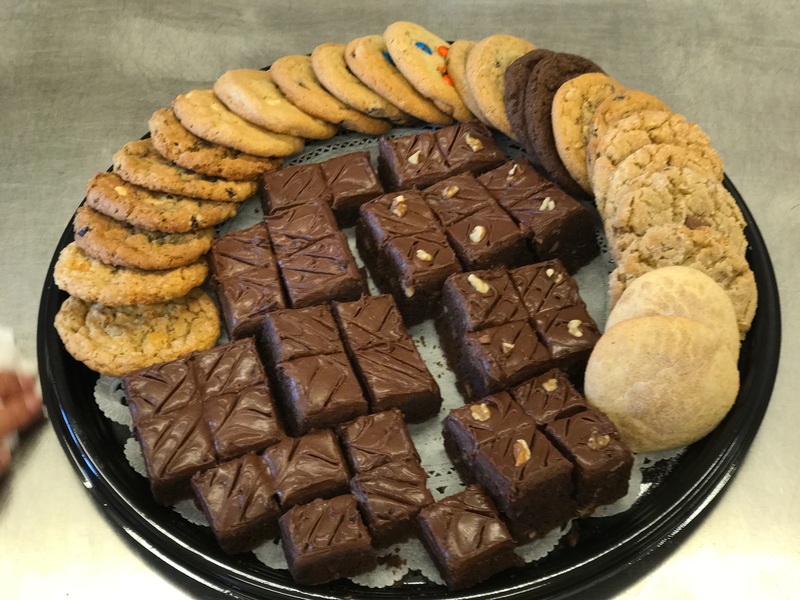 Party Platters - Loaded with an assortment of Classic Cookies and Brownies. We cannot guarantee that any of our products are free from allergens, including dairy, eggs, tree nuts, wheat and others, as we use common equipment to store and prepare them. As such, may we include the following with your order? 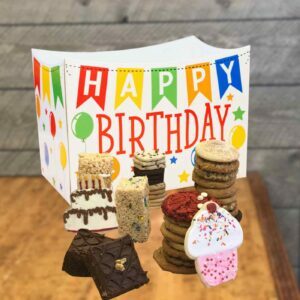 Cookie, Brownie, Party Platters! 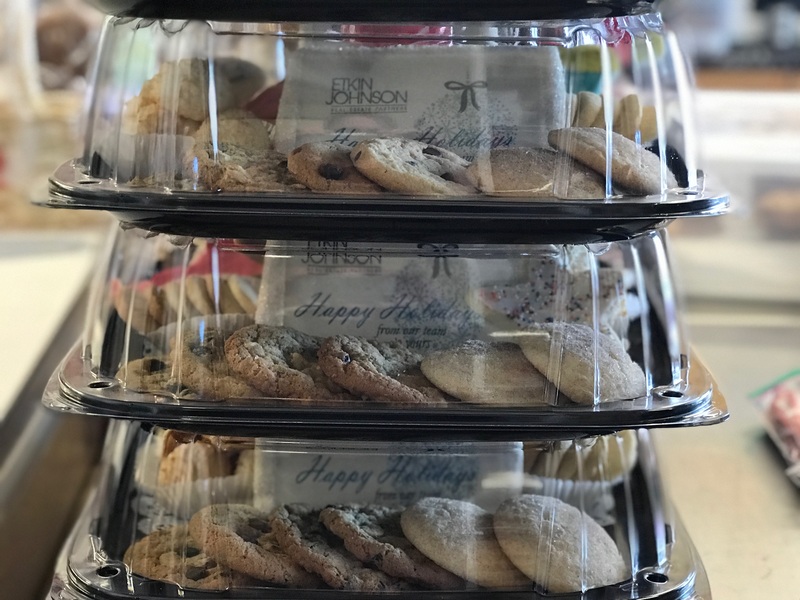 Platters are great for meetings, events or gifts for a favorite office staff! 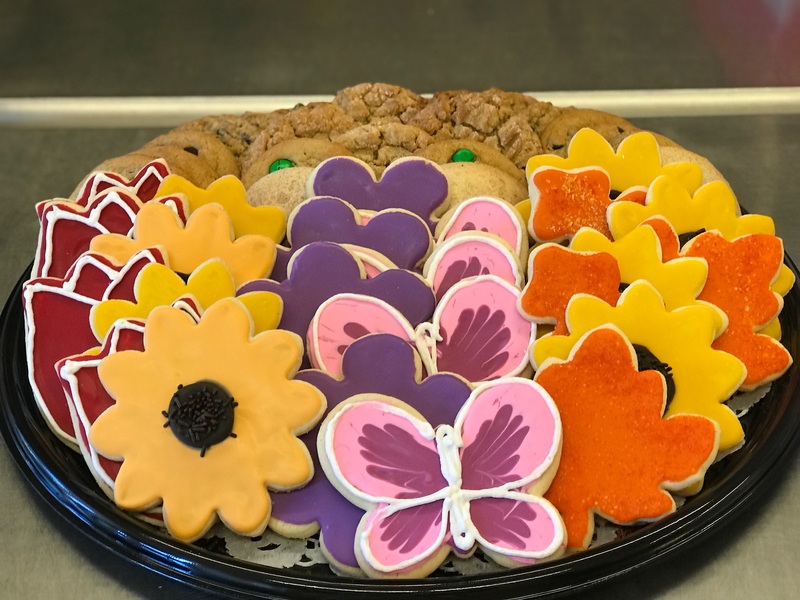 Cookie Platters – Cookies by the dozen, on a platter, ready to serve. You can pick your variety or let us choose for you. Brownie Platters – You can choose plain, walnut or a combination. We can cut the brownies in quarters or halves upon request. 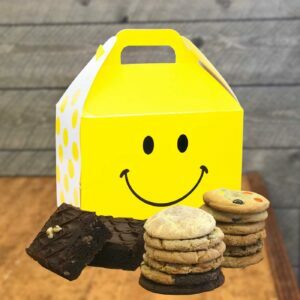 Party Platters – Loaded with an assortment of Classic Cookies and Brownies. My husband asked me this morning to pick up a dessert platter for a lunch patio party. I went straight to The Colorado Cookie Company because I know every thing in the bakery is amazing. They put together a platter with cookies, brownies and added treats in about 20 minutes. It was a huge success at the party! Everyone loved the goodies. The brownies were the first to go (of course!). With fudge frosting who would expect anything else. Thanks Colorado Cookie Company! WOW…the Salted Carmel’s are to DIE for!!!! So buttery and soft. What a great deal as well to get a Dozen for only $10….great Valentine’s Day Gift.